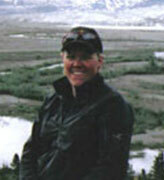 Tami Grantham-Hamilton is a mother of two, living and working in British Columbia. Tami is a wildlife biologist, an avid outdoorswoman and is actively involved in Outdoor and Environmental Education with particular focus on wildlife and habitat conservation. When not working or in the backcountry with her children, Tami can be found volunteering for local non-governmental organizations.